Today is Bleachers Sports Bars Annual Halloween Party....don't miss it. 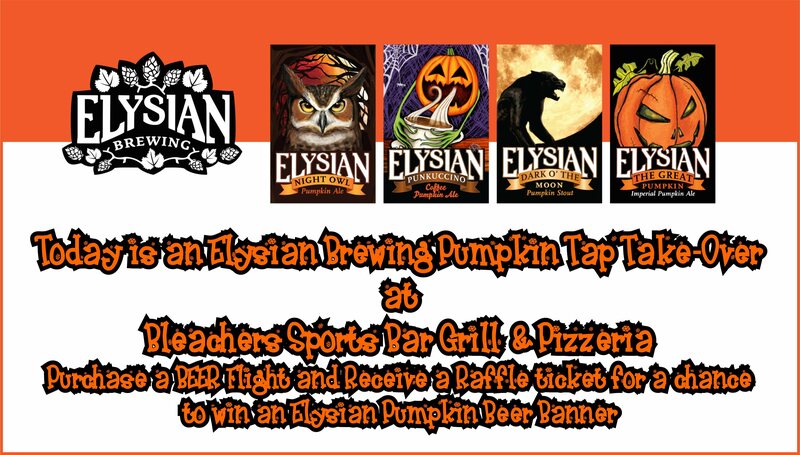 We are doing an Elysian Pumpkin Beer Tap Takeover. Enjoy NightOwl, Punkachino, Dark O', Great Pumpkin, and Space Dust on ONE Beer Sampling Paddle for $10.50. With every sample Purchase receive a raffle ticket for a chance to win your choice of Elysian Banner.